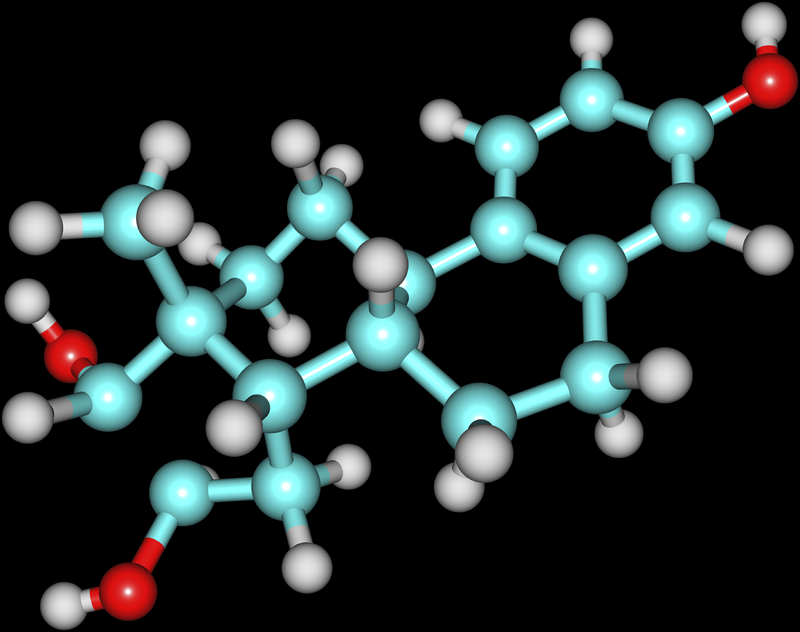 A model of an estriol molecule. By Getty Images for iStock. A leading expert on estrogen, women’s health and breast cancer gives a lecture Thursday, Nov. 20 at Upstate Medical University that is open to the public. Richard Santen, MD, a professor of medicine in the division of endocrinology at the University of Virginia, will deliver the Carol M. Baldwin Breast Cancer Research Lecture at 4 p.m. in Weiskotten Hall’s Medical Alumni Auditorium. “His presence is very important to the community of medical scientists and to the public at large,” says Upstate pharmacology professor Debashis Ghosh, PhD, whose research has been cited by Santen. Santen has been researching aromatase, an estrogen-producing enzyme, since it was discovered in the 1960s. Estrogen, an essential hormone in men and women, is linked to up to 80 percent of breast cancers in post-menopausal women. In his lecture, Santen will talk about his ongoing research and promising new treatments for breast cancer. He’ll also discuss what menopausal and post-menopausal women can do to maintain their health and quality of life. Ghosh published his research on the structure of the aromatase molecule in a 2009 article in Nature. When Santen read the article, he contacted Ghosh and included that work in a historical review of aromatase. “That made the story complete,” Ghosh says. That publication is one of more than 400 manuscripts and chapters written by Santen, most related to the role of estrogen in breast cancer development and treatment. Ghosh describes Santen as a “very thorough basic scientist” whose work has received funding from the National Institutes of Health consecutively for more than three decades. This entry was posted in cancer, community, research, women's health/gynecology. Bookmark the permalink.